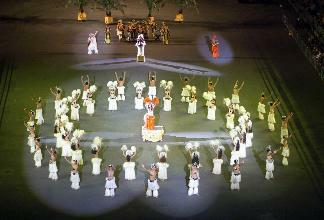 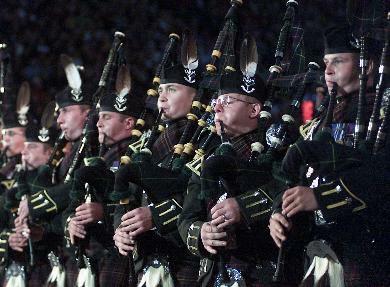 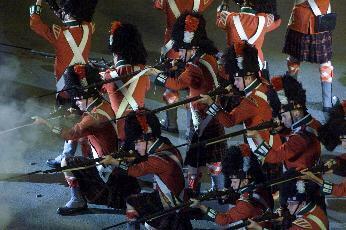 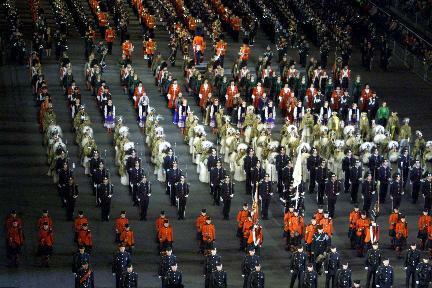 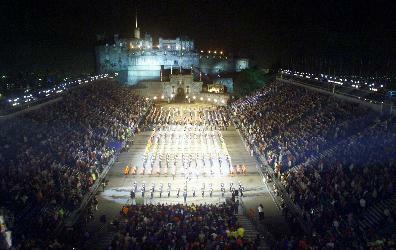 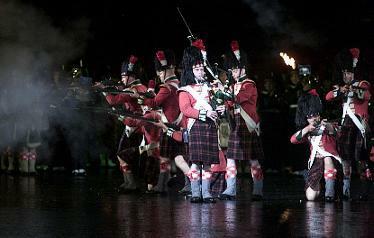 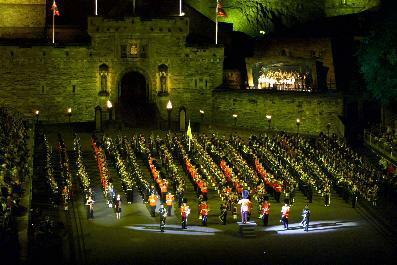 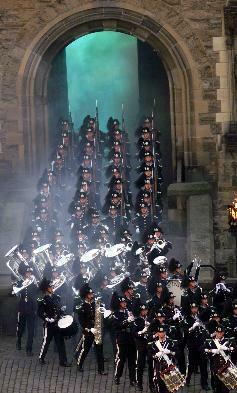 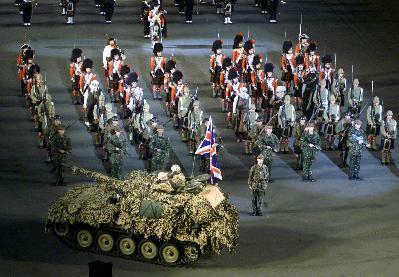 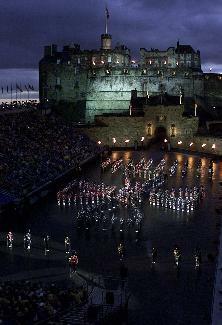 The Edinburh Military Tattoo is an annual event held on the Edinburgh Castle esplanade and comprises bands and participants from all over the world. 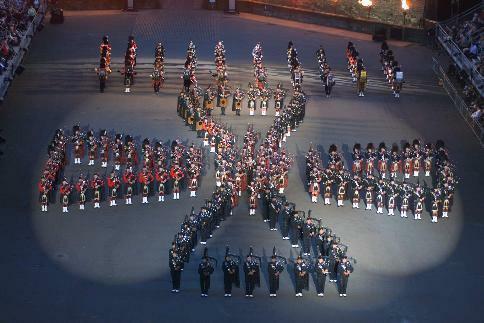 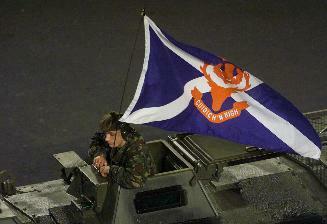 This year with the regiment being the duty/home battalion we were heavily involved in all aspects of the programme. 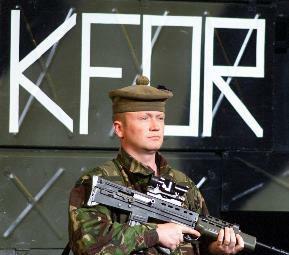 Below is a small selection of pictures from this years show which is, of course, mainly concentrated on your own involvement. 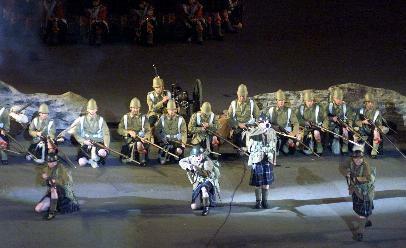 More pictures can be seen on the “Glasgow Visit” where the venue was switched to the city to publicise and attract visitors from the west of Scotland. 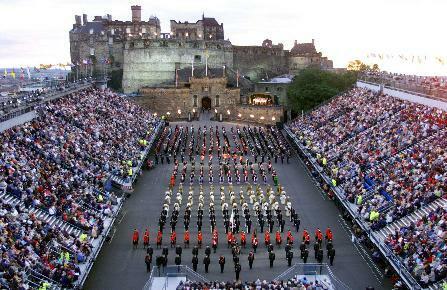 There was no need to worry - the event was a sell out! 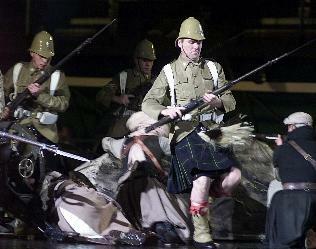 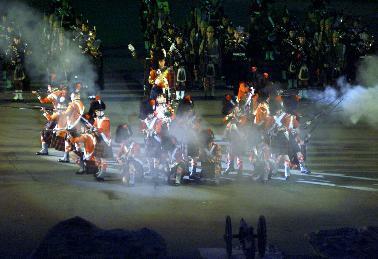 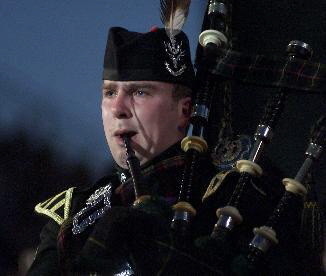 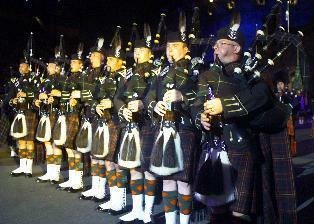 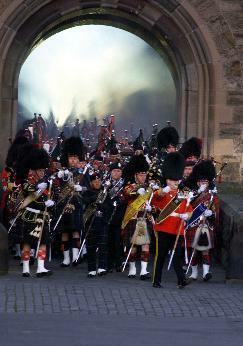 This years theme was on the acts of supreme courage shown by “Pipers” during different battles and time periods. 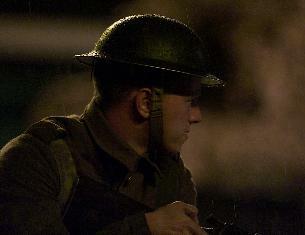 Pictures below.